Hearing experts have trumpeted the warning loud and clear: Too much noise, over time, can permanently damage your hearing. But rock ’n’ roll and jackhammers aren’t the only threats to your ears. New research has identified other unexpected hazards to hearing, from contaminants to common medical conditions. “Knowing the risks, and what you can do to avoid them, is critical, especially as you get older,” says Lee Akst, M.D., director of the Johns Hopkins Voice Center and assistant professor of medicine at Johns Hopkins University School of Medicine in Baltimore. One in four adults shows signs of noise-induced hearing loss, according to a report published in February 2017 by the Centers for Disease Control and Prevention (CDC). And hearing loss typically gets worse with age. Nearly one in four people ages 65 to 74 have disabling hearing loss, defined as a hearing loss of 35 decibels or more in their better ear, according to the National Institute on Deafness and Other Communication Disorders. That’s the level at which adults could generally benefit from a hearing aid. The number climbs to 50 percent in people 75 and up. Noise- and age-related hearing loss usually affect the part of the inner ear that converts sound waves into nerve signals. Called sensorineural hearing loss, the problem typically causes a loss of hearing at higher frequencies, including sounds associated with human speech. 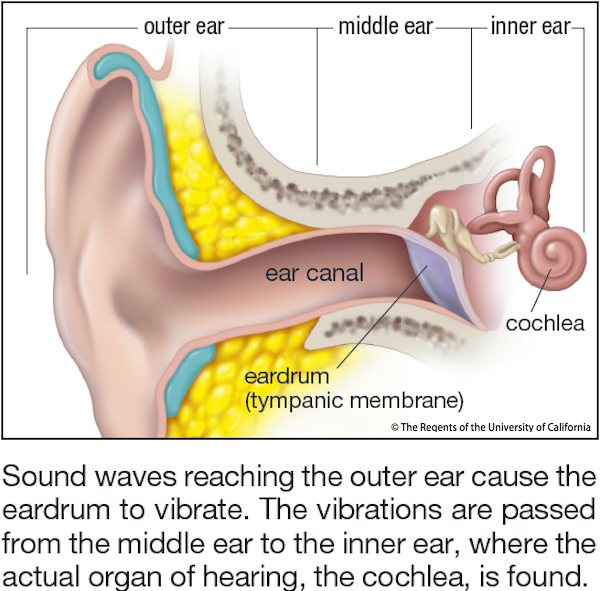 Conductive hearing loss, by contrast, is more common in people under 40 and occurs when the outer ear or middle ear is blocked. As researchers zero in on risk factors for hearing loss, they are finding new ways you can help keep your hearing sharp as you get older. Here are 10 dangers to your hearing that you may not know about, and how to steer clear of them. In a 2013 study published in the Indian Journal of Otolaryngology and Head and Neck Surgery, researchers looked at blood pressure and hearing loss in 284 people between the ages of 45 and 64. About 18 percent of the participants with normal blood pressure had mild hearing loss, compared with 34 percent of those with mild high blood pressure. More than 54 percent of those with significantly elevated blood pressure had hearing loss. Researchers speculate that high blood pressure, over time, permanently damages the tiny blood vessels in the inner ear, hastening hearing problems as people get older. What to do. Make sure you have your blood pressure checked regularly. If your numbers are elevated, work with your doctor to bring them down to normal. Like high blood pressure, elevated cholesterol can damage arteries, raising the risk of heart disease and stroke. Some studies suggest abnormal cholesterol levels may also increase the risk of hearing loss. In research published in the journal Laryngoscope in September 2010, scientists studied 3,488 middle-aged and older men with hearing loss. The researchers found a small but statistically significant association between abnormal cholesterol levels and hearing problems. What to do. If your cholesterol levels are in the danger zone, talk to your doctor about ways to rein them in. Even though the link between cholesterol and hearing remains controversial, bringing elevated numbers down could protect against further damage to your ears. The far-reaching dangers of smoking are well known by now, but too many Americans still light up. Here’s one more good reason to quit: Smoking may be taking, a big toll on your ability to hear. Dutch researchers recently studied 3,315 participants in the long-running Rotterdam Study and found that smoking significantly increased the risk of both low- and high-frequency hearing loss in both men and women. And even passive smoke can threaten hearing. In a 2014 report published in the Journal of the Association for Research in Otolaryngology, a team from the United Kingdom reviewed data from 164,770 adults between the ages of 40 and 69. Smokers were 15 percent more likely to develop hearing loss than nonsmokers. But those exposed to passive smoke were 28 percent more likely to have hearing problems than nonsmokers. The team also found that the more cigarettes smokers puffed, the greater their risk of hearing loss. What to do. Quit. While that may not reverse hearing loss, it could protect against further decline. Smoking cessation aids like nicotine patches and community-based programs can help. So can your doctor. It’s tough to kick the habit, but people do it all the time. According to the CDC, cigarette smoking among adults dropped from 42 percent to 19 percent between 1965 and 2010, in part because of an increase in smokers who quit. People with diabetes are at twice the risk of developing hearing loss than people who don’t have the condition, according to the American Diabetes Association. Chronic elevated levels of blood sugar are known to damage blood vessels. Researchers speculate that over time, high blood sugar levels may permanently damage tiny capillaries that supply blood to the inner ear. What to do. Have your blood glucose levels checked as part of a regular physical exam. If your numbers are too high, talk to your doctor about a program of exercise, a healthier diet, and medication, if necessary. The higher your body mass index (BMI) and the bigger you are around the waist, the greater your risk of hearing loss, according to a 2013 report in the American Journal of Medicine. Researchers at Brigham and Women’s Hospital in Boston reviewed data from more than 64,000 women who participated in the Nurses’ Health Study II. Those with a BMI between 30 and 34 had a 17 percent higher risk of hearing loss compared with those with a BMI under 25. Women with a BMI of 40 or higher, considered obese, had a 25 percent greater risk of hearing loss. A waist circumference of 35 inches or more also made a woman more likely to have hearing loss. What to do. Get up and get moving. The Brigham and Women’s researchers found that exercise—even something as simple as walking—protects against hearing loss. The most physically active women in the study were 17 percent less likely to report hearing loss compared with the least active. How much exercise do you need? Not all that much, it turns out. Women who reported walking two hours or more a week were 15 percent less likely to report having hearing problems compared with those who walked less than one hour. Iron-deficiency anemia occurs when iron levels drop too low, depleting red blood cells. Doctors have long known that iron-deficiency anemia can cause fatigue and other symptoms. A report published in December 2016 in JAMA Otolaryngology-Head and Neck Surgery suggests that iron-deficiency anemia may contribute to both sensorineural and combined sensorineural and conductive hearing loss. Although the study was small, other research has turned up a link between iron-deficiency anemia and noise-induced hearing loss. Researchers don’t yet know what the mechanism may be. One guess is that the condition may damage tiny capillaries in the inner ear or interfere with the normal transmission of sound nerve signals. What to do. It’s too early to know if treating iron-deficiency anemia will improve hearing in people with age-related hearing loss, the researchers say. But since the condition is one of the most common nutritional deficiencies and can be easily corrected in most people, it’s worth talking to your doctor about it. Some 200 prescription and over-the-counter medications can damage hearing, according to the American Speech-Language-Hearing Association. Some, like aspirin and nonsteroidal anti-inflammatory pain medications, cause temporary hearing loss that goes away once you stop taking them. Others, like certain antibiotics or chemotherapy drugs used to treat cancer, can cause permanent damage. What to do. If you take specific medications regularly, even over-the-counter pain relievers, ask your doctor or pharmacist if they can affect hearing. There may be alternative medication that won’t cause harm to your ears. The scandal of lead-tainted drinking water in Flint, Mich., focused new attention on the risk of contaminated water. Among the dangers: permanent hearing loss. According to a 2010 study published in the journal Hearing Research, even low levels of lead, over time, may be an important risk factor for age-related hearing loss. Other studies link another heavy metal, cadmium, to hearing loss. The chief sources of cadmium are cigarette smoke and air pollution. What to do. Make sure your drinking water is safe. If your water comes from a municipal water company, you can request the latest results on the quality of your drinking water. If the plumbing in your house has lead pipes or lead components, you may still be getting lead in your drinking water. To reduce exposure, the Environmental Protection Agency recommends running the cold water for 15 to 30 seconds to flush out pipes before using it. Use only cold water for drinking and cooking. If you’re still worried, you can get your tap water tested by an independent laboratory. To avoid cadmium exposure, don’t smoke, and steer clear of people who do. Anyone who has suffered through a head cold or allergies knows that congested sinuses can make it harder to hear. A condition called acute otitis media can occur when a cold, allergy, or bacterial or viral infection causes pus and mucus to build up behind the eardrum. Along with temporary hearing loss, symptoms may include an earache and fever. What to do. Wash your hands frequently and avoid touching your nose or eyes to prevent the spread of colds and influenza. Avoid cigarette smoke, which can make sinus and ear infections worse. A sudden intense change in pressure, dubbed “barotrauma,” can damage the inner ear and temporarily or permanently harm your hearing. The greatest risk is for people who go deep scuba diving and return to the surface too quickly. But even air travel can cause temporary hearing problems if pressure inside a plane changes abruptly or your ears don’t adjust normally. What to do. If you scuba dive, go with a licensed instructor. When flying, chew gum, swallow frequently, or yawn during takeoff and landing, which may help ears “pop” and normalize pressure. An infection or allergy affecting your nose or throat can make it hard to adjust to pressure changes. If possible, delay air travel until you’re well. Airports sell “pressure-equalizing” earplugs that are supposed to prevent in-flight barotrauma, but there’s no evidence they help. For those with nasal congestion who need to fly, oral decongestants containing pseudoephedrine or phenylephrine, or a nose spray with oxymetazoline, may help reduce swelling near the eustachian tubes. Read more about diet and hearing loss and what happens if you ignore a hearing problem.